The Fading Memory is a photograph by Susan Maxwell Schmidt which was uploaded on March 23rd, 2015. 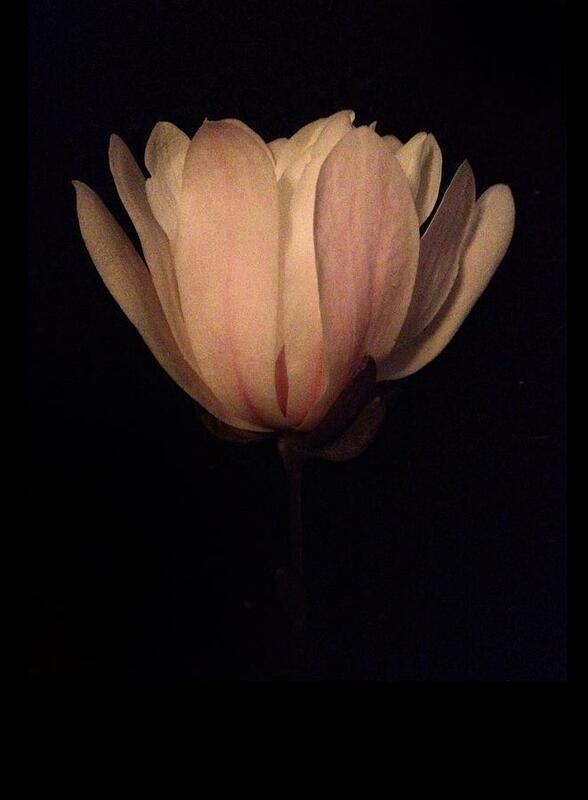 A soft, romantic still life photograph of a faded blush pink magnolia flower on a black ground, altered slightly to achieve the illusion of a vintage fine art painting. This delicate, romantic bloom started life in my Chester County, Pennsylvania garden. This artwork is available in a variety of framed and unframed gallery-quality giclee prints, home decor items such as velvety soft duvet covers, fabric shower curtains, and square and rectangular decorative throw pillows, as well as greeting cards and tote bags. Please visit my Contemporary Botanicals art gallery to see all my floral artworks. Copyright 2014 Susan Maxwell Schmidt, all rights reserved.